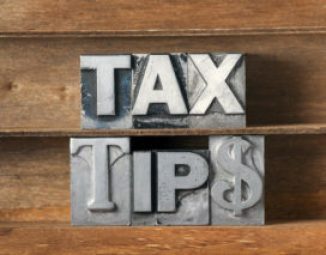 Tax Tips for January 2017 are listed below. Form 8855. Form 8855 is used to make the Code Section 645 election that allows a qualified revocable trust to be treated and taxed (for income tax purposes) as part of the related estate during the election period. TD 7941. This regulation relates to the Code Section 6324A election. The purpose of the proposed regulation is to clarify the procedure for making an election to place a lien on Code Section 6166 property (closely held business) as an alternative to a bond or the personal liability of the personal representative. Form 4952. Form 4952 is used to figure the deduction carry forward amounts of investment interest expense (interest paid on loans allocable to investment property). The Proposed Code Section 2704 remains controversial. These proposed regulations concern the treatment of certain lapsing rights and liquidation in determining the value of transferred equity interests in relation to the valuation of interests in corporations and partnerships for estate, gift, and generation-skipping transfer (GST) tax purposes. The IRS is focused on trying to prevent the undervaluation of such transferred interests. Under the proposed regulation, the use of discounts for lack of control and lack of marketability is significantly limited, if not eliminated. Opponents of the proposed regulations state these are a camouflaged means of imposing a significant tax increase without direct congressional authorization. (A) in the case of property, the final value of which has been determined for purposes of the estate tax on the estate of the decedent, such value. (B) in the case of property not described in (A), above, and with respect to which a statement has been furnished under new Code Section 6035(a) (see below) identifying the value of such property, such value. 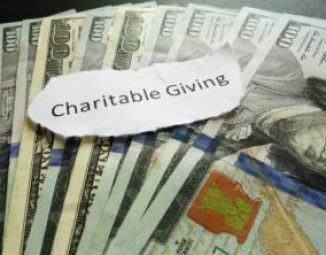 In Chief Counsel Advice 201651013, the IRS concluded that a trust was not entitled to a Code Section 642(c)(1) charitable deduction nor a Code Section 661 distribution deduction for income tax purposes where the contributions to the charitable organizations were possible only because of modifications to the trust pursuant to a state court order. The governing document allowed for a distribution of trust assets to a charity through a testamentary limited power of appointment; however, under the approved modification the beneficiary was given an inter vivos limited power of appointment exercisable for the benefit of a charity. This change was deemed to fall outside the scope of the original governing document; therefore, the deductions were disallowed. 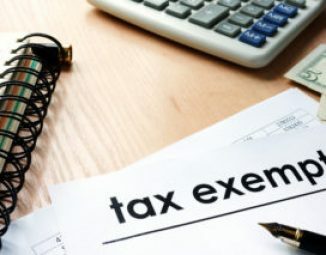 This is another reminder of the significant role income tax planning has on our drafting of trust instruments and the associated modifications or terminations of such trusts. The IRS granted several 120-day extensions for the respective personal representative to make Code Section 2010(c)(5) portability election to take into account DSUE amount where taxpayer acted reasonably and in good faith and granting relief would not prejudice the government’s interests. See PLR 201650004; 201650009; 201651006; 201651007; 201652007; 201652008; 201652009; 201652010; 201652016.